This is a great technique for cooking carrots as a Thanksgiving side. The best part is that they don't require much attention, so you can put the saucepan on the stove and get busy with other more demanding dishes. 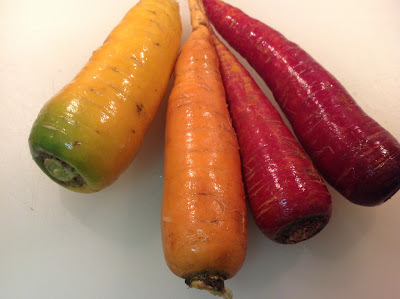 The carrots don't care if you don't pay attention to them, they just cook up really great. Make this even more interesting by using a variety of colored carrots. Heat a large (4-quart) saucepan over medium-high heat. Add carrots, butter, water, ginger, honey, salt and pepper. Bring mixture to boil, then reduce heat to simmer. Cover and cook for about 15 minutes until the carrots are tender. Remove the lid and increase the heat to medium-high to reduce the liquid until it thickens to a glaze (this takes about 10 minutes). Stir in the lemon juice and parsley and serve. 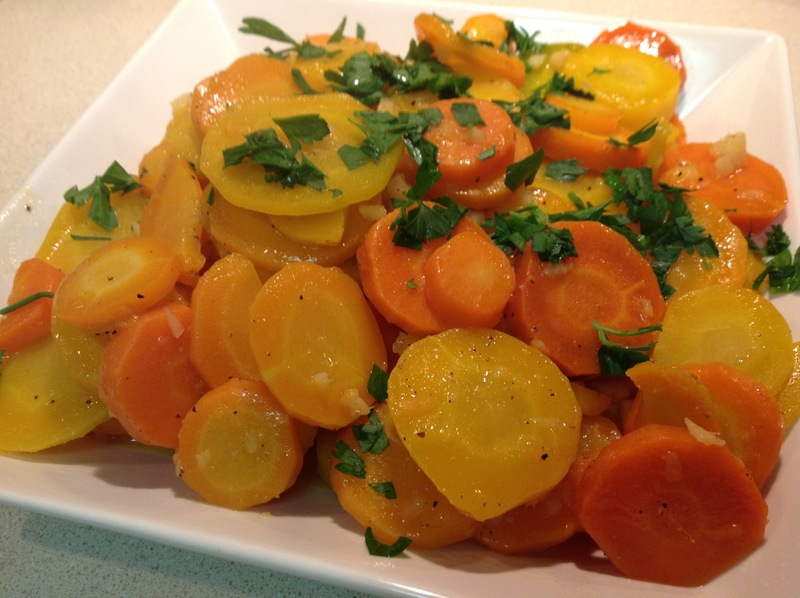 A perfect side dish for Thanksgiving -- or any meal. Thanks honey!